In 2005, it was “The Emancipation of Mimi,” the multi-platinum, Grammy-winning album that turned around Mariah Carey’s career, which seemed to have exploded into a “Glitter” bomb. But on Monday night at Radio City Music Hall, it was “The Redemption of Mimi,” as Carey — one of the all-time great voices — proved that she still had it more than two years after the infamous New Year’s Eve debacle only a few blocks away at Times Square, which seemed to signal the death of those octave-leaving pipes. 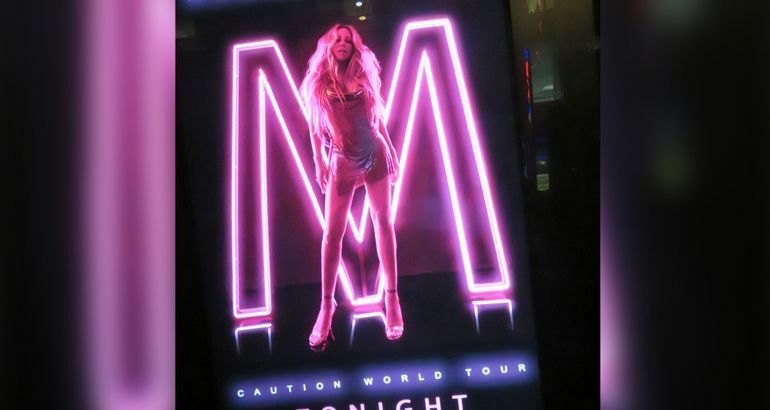 With no such vocal issues at this sold-out concert on her “Caution” tour, Carey reclaimed her place as the singer who schooled a generation of “American Idol” and “The Voice” wannabes. Aside from a moment during her big ballad “My All” — when Carey reworked the original to take it down to a more sensible range for her at nearly 50 — she bravely went after note after note. And nailed them. After opening with the hip-hop stroll of “A No No,” from “Caution” — her underappreciated album released in November — Carey launched into her 1993 No. 1 hit “Dreamlover” with one of her whistle-note runs. With her hand to ear in trademark style, the singular move made the crowd of “Lambs” — as faithful MC fans are called — go crazy every single time. Her glass-shattering upper register was on point for all 90 minutes of this homecoming for the hometown girl. Indeed, Carey seemed determined to prove that she was still the vocal powerhouse who broke out from Long Island with her debut single, “Vision of Love,” in 1990. The first of her 18 No. 1 hits was a late-concert highlight, doo-wopped up with finger snaps to get to its soulful heart. Carey herself still retains a childlike innocence that is part of her undeniable charm — and wink-wink humor — almost 30 years into her career. “There’s no place like home…in my princess dress,” she said in her pink, Disney-esque gown before launching into “Hero” for the final song of the night. As Carey had everyone in the audience swaying and singing along with her, the song resonated as powerfully as it did when she memorably performed it at “America: A Tribute to Heroes” after 9/11.